American Diabetes Association Complete Month of Meals cookbook + GIVEAWAY! Super excited to share this with you guys! 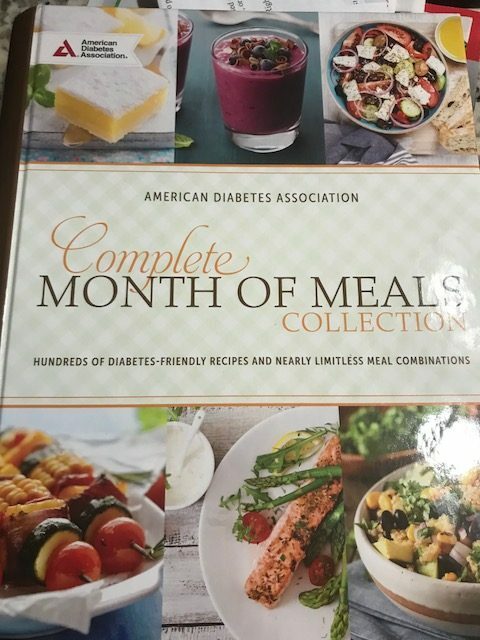 Straight from the American Diabetes Association, a complete month of meals cookbook. These are diabetes friendly recipes, WITH full nutritional information and exchanges listed for each recipe. There are recipes for breakfast, lunch, dinner, desserts, salads, and drinks. 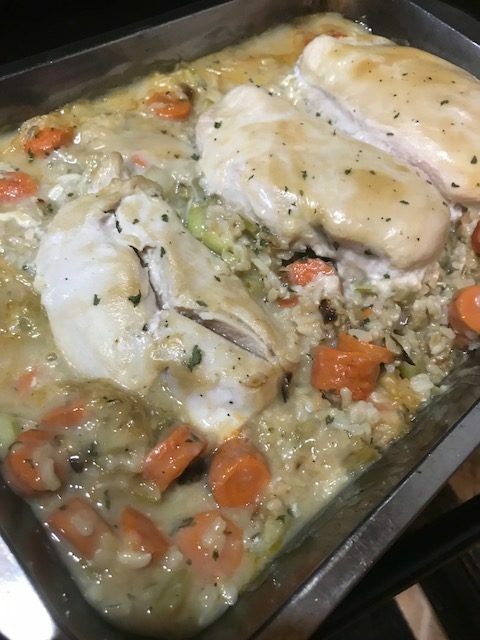 I decided to make two of the dinner recipes. Ok, while I will admit that the name alone got me to try the recipe, it has nothing to do with porcupines. 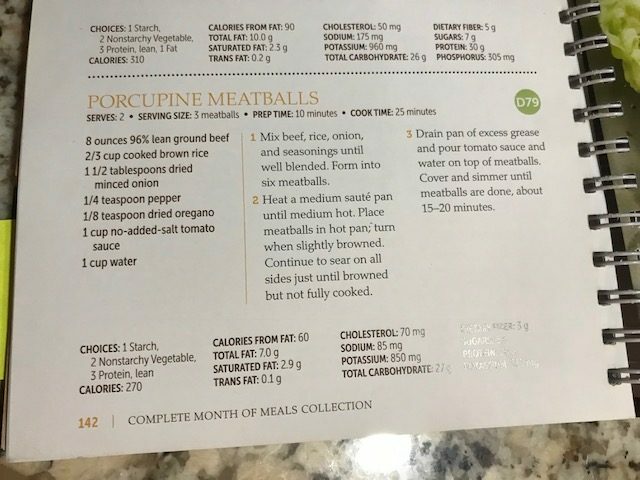 THERE WAS NO PORCUPINE MEAT IN THIS RECIPE! I’m actually not sure if you can even eat porcupine…I imagine it not to be very comfortable lol. Anyway- I think the name comes from the fact that rice is intertwined in the meat, giving it a “prickly” appearance. The recipe was super easy. First, add your COOKED rice to meat and spices. 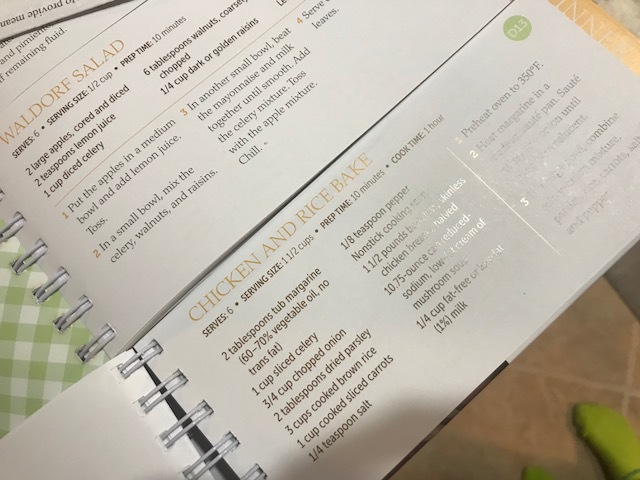 I swapped minced onion for onion powder, and I know diabetes friendly = low sodium… but my blood pressure is well controlled so I did actually add some garlic salt. Don’t judge me, ADA! I also had to use 80% beef — 1. 96% is HARD to find. and 2. well…80% is much cheaper. If you blot the oil, they really weren’t too greasy. I would like to do it with 90% lean beef, but hey, we had 80% in the fridge so I do what I can. Next, form meatballs! I doubled the recipe to feed my family, so I ended up with 12. You want to sauté them on a medium hot pan on each side, but DON’T cook them all the way! Then I took the meatballs out, wiped out the pan of some stray rice and oil, and placed them back in with sauce and water, and covered them. Then I let them simmer on low heat for about 25 min. I had rather large meatballs. Honestly, I loved them! 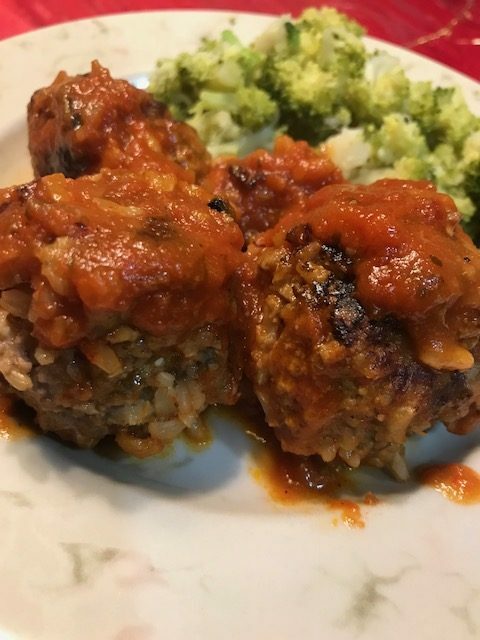 I usually make meatballs the way my mom does, which is with a breadcrumb base, but I loved this! 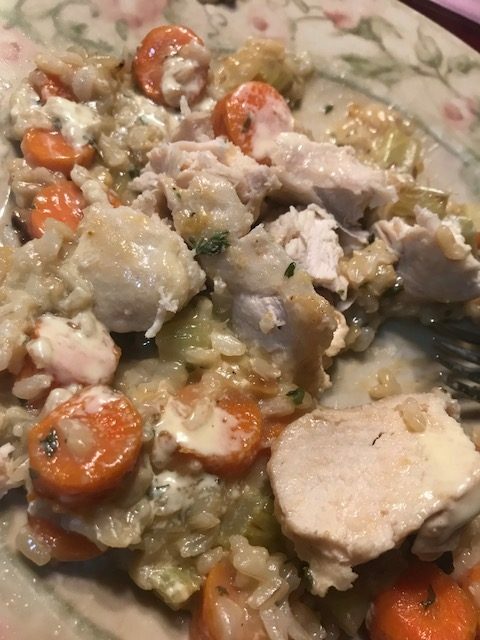 They were soft and hearty, and healthier than breadcrumbs because made with brown rice. 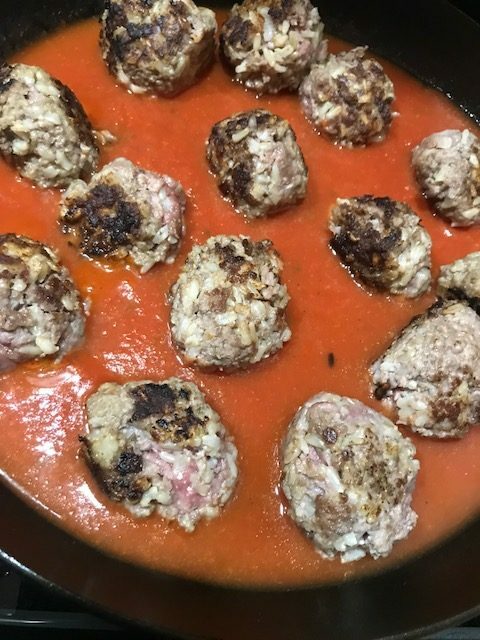 As a caveat, make sure when you make the meatballs you press them tightly so they don’t fall apart while cooking. 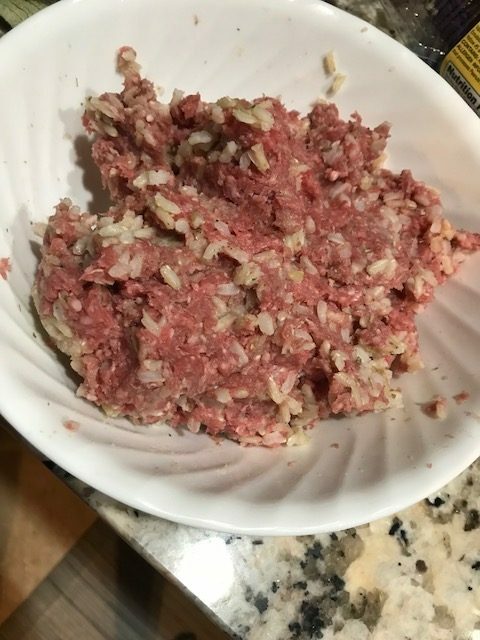 The seasoning was great, meatballs were moist and flavorful. Definitely would recommend giving it a try. 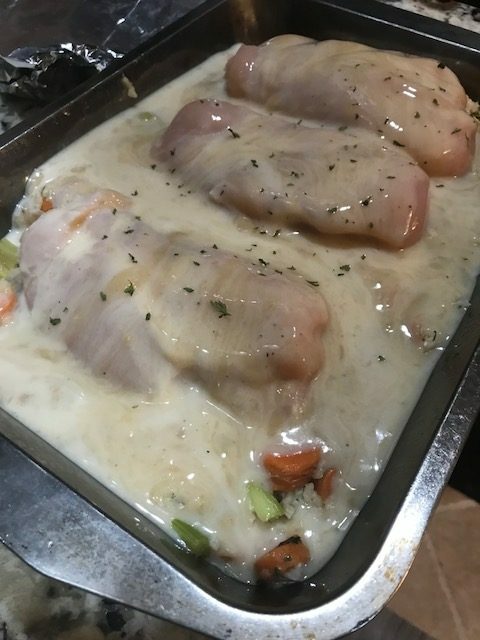 Next up, Chicken and Rice bake. 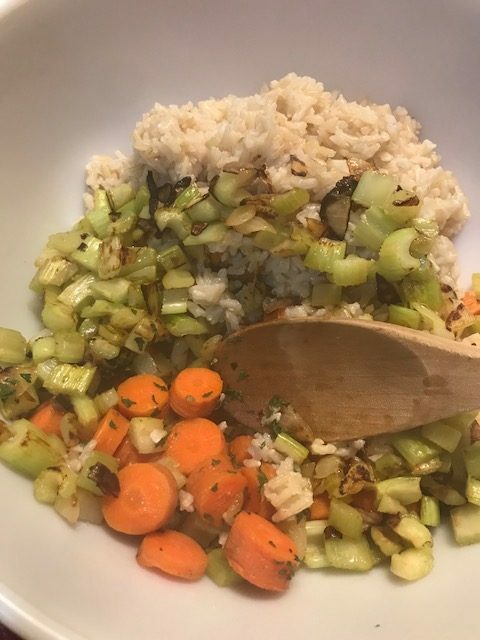 Once your onions are translucent, mix the cooked rice, cooked carrots and onions/celery mix together with your spices. Next up, put that in a pan, and top with whole chicken breasts. I took the skin off. It said to top with cream of mushroom, But I just mixed a chicken gravy with milk because that’s what I had on hand. Overall, this book is a hit for me so far! I look forward to trying more recipes. 1 winner will receive a cookbook! Open to US and Canada, 18+ years and up. How to enter: leave comment for EACH! for an additional entry, you may follow me on IG: ” lisa_liftsx” where I post fit and food reviews! GIVEAWAY ENDS JANUARY 6th 2018 12 pm EST. DISCLAIMER: This is an unbiased review. I received this book for free.